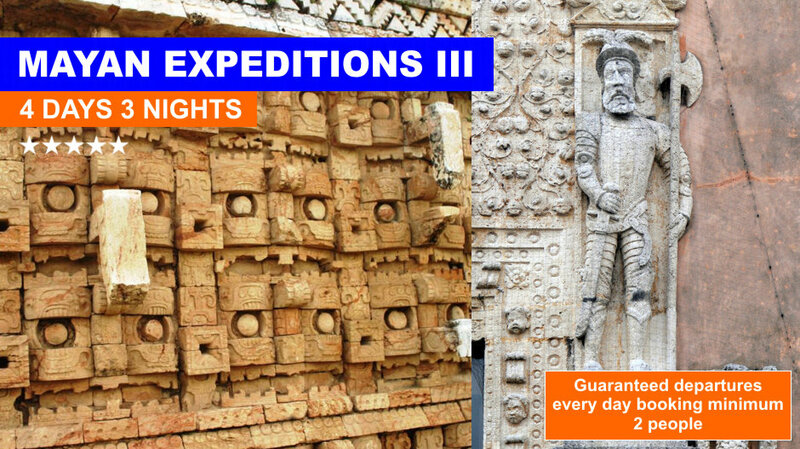 Are you interest in the authentic Mayan experience? This tour is for you...! 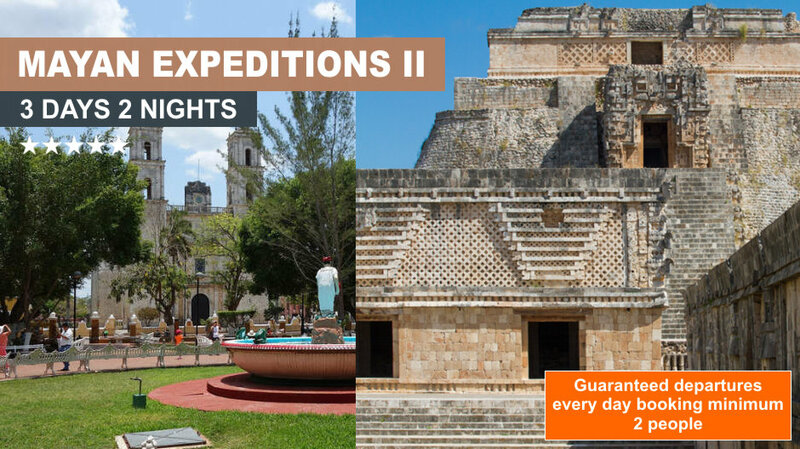 !, It's the ultimate Mayan tour, where you can visit the most Important Mayan Ruins in Mexico. 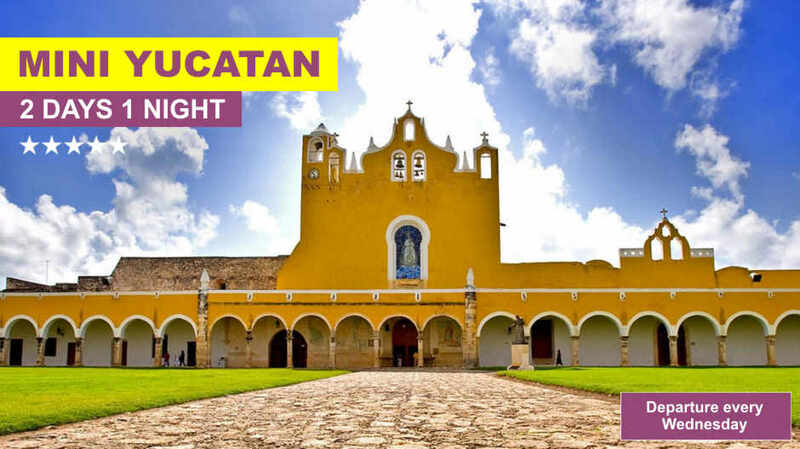 This 5 day guided complete tour take you to a travel around Yucatan, in an amazing excursion where you can taste the unique food, know more about the culture and get some of the colorful handicrafts of the area. 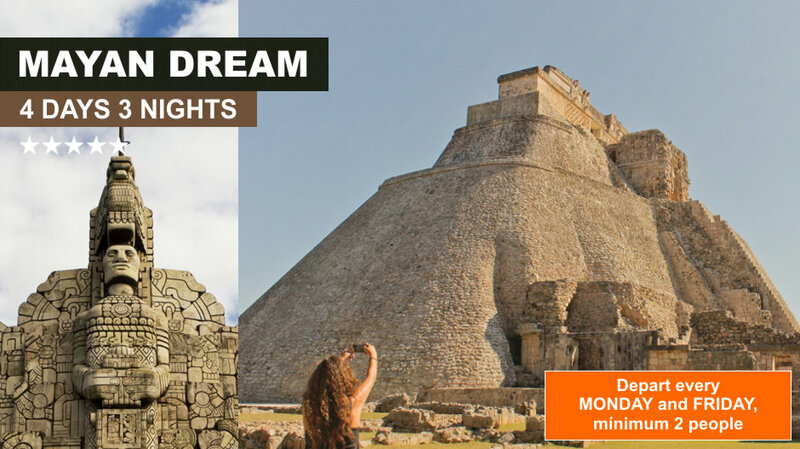 We will visit the most important Mayan Ruins in Mexico: Tulum, Kohunlich, Chicanna, Becan, Misol-Ha, Palenque, Edzna, Uxmal and Chichen Itza. Departure from Chicanna to visit the archaeological site of BECAN whose name in Maya means "cliff" probably because of the pit that surrounded the central part of the city at one time, after this we will go to the impressive waterfalls of MISOL-HA where time for swimming will be given; in the afternoon we continue to Palenque for overnight. Depart from Merida to continue our visit to one of the Seven Wonders of the Modern World: CHICHEN ITZA, a site where the Maya brought together their knowledge of the heavens to astonish us each spring and fall, as thousands gather at the equinoxes to watch the serpent formed by the sun descend the central pyramid. 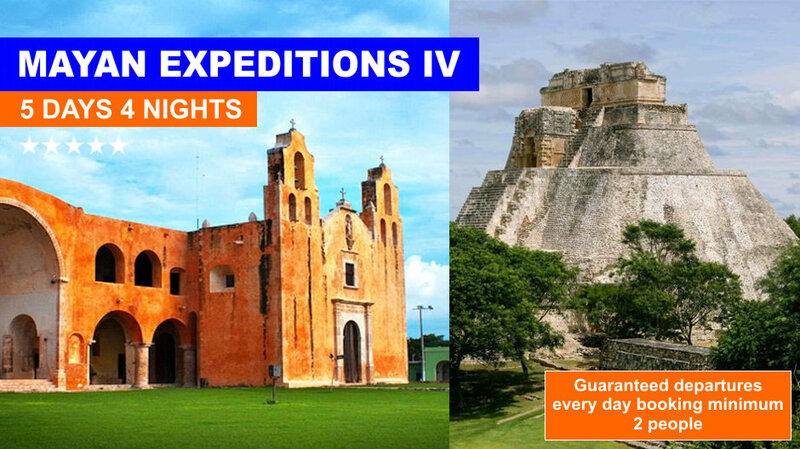 Continue to Cancun and/or Riviera Maya, for drop off in your hotel. Minimum Private Services any day of the month, six people. Once the payment is processed, we will contact you for additional information. Google Maps (View Larger Map).